Winning a Tony Award and starring on one of the most popular television series of the 1970s and 1980s are just two of the things for which this talented diva is known. Fort Worth native Betty Buckley has entertained millions of fans over the years with her Broadway songbird voice and striking stage presence on records and in live performances, too. You may remember her award-winning turn in Cats, and you may have seen her in Sunset Boulevard in New York or London. She’s already considered to be a living legend in the world of show tunes… so much so that the Texas Film Hall of Fame is honoring her in the Spring. And here she gets real with me about her life, her career and about giving back much of what she’s learned. Lance Avery Morgan: Betty, I’ve followed your career since you were first on television because your sister-in-law was one of my high school English teachers. I knew we’d always connect somehow. And everyone I knew watched your series Eight is Enough when I was a kid. It was The O.C. of it's time and you played the cool mom role. Was that a fun part? 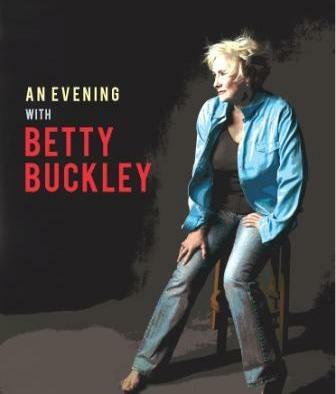 Betty Buckley: Great to meet you. Love the magazine. I played the stepmom, actually. It was a good part and a great learning experience for a young actress. And then you went to Broadway to take the world by storm with Cats. How did that transition happen? I had already done three Broadway shows… 1776, Pippin and in London Promises, Promises. I auditioned for Cats twice and won the role. The show ran forever, it seems and you were part of the original cast. Did you feel like you were a part of pop culture history at the time - you did win the Tony for your outstanding performance after all. We all knew we were in a hit show that had staying power. You sang and recorded Memory that became a huge hit - did you see that coming either? You know, the song was already a hit. The London cast album was out and Barbra Streisand had the pop recording at the time. After we opened, my single recording and our cast album was released. And your musical career started young. Most people don't know you were Miss Fort Worth as a teenager, a title that took you to the Miss Texas contest. Were pageants fun for you then or was it just a platform for artistic things you wanted to accomplish in your future? I was a young feminist in college so the notion of beauty pageant competition was not what I had in mind. But I was recruited as the girl singer in town, and the scholarships were appealing. When I was a senior at TCU, I was invited to sing at the Miss America Pageant and from that television appearance got my first agent in New York City. You've done so many shows and perhaps the most recent hit we all loved and many of our readers saw you in...Sunset Boulevard. You are considered to be the best interpreter of the Andrew Lloyd Webber version of Billy Wilder's masterpiece. Was it tough playing a diva or did you embrace your own inner diva? Thank you for the compliment. I was so ready for that show. For years I felt like a little race horse that was taken to the track and breezed every morning to have everyone say, "Damn, she's fast!" But then I never ran the big races. Finally I got a big race and I was ready to run. And you've played Carnegie Hall in a solo performance - the dream of every stage performer. What was that like? The evening at Carnegie Hall was literally one of the most exciting nights of my life. It was a three hour concert and charity event for Broadway Cares/Equity Fights AIDS, with a symphony orchestra and guest performers. We rocked the hall. You're also giving back to the world in many ways...you've taught at the University of Texas at Arlington, right? I taught at UTA for two years when I first moved back to Texas three years ago. Now I am teaching song interpretation at Casa Manana again this spring. I also teach in New York City and other theatre and performance schools and conservatories. It is a privilege to share what I have learned from great teachers. And there’s even The Betty Lynn Buckley Awards...how did that start and what does it reward? The Buckley Awards was instituted by Denton Yockey, Artistic Director of Casa Manana. It is a great honor to have them named for me. It awards annual excellence in musical theatre for high schools in Tarrant County. What does being honored by the Texas Film Hall of Fame mean to you? My career is so eclectic and I have been so fortunate to have done some wonderful films with great directors. It‘s such an honor to be included in and acknowledged by the Texas Film Hall of Fame.